Elizabeth Hastings, Director of the Queens College Opera Studio, has had a diverse career as an accompanist, vocal coach, and conductor. 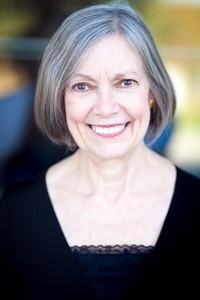 Her first coaching positions were at Wolf Trap and Central City Opera, followed by her serviced as Assistant Music Administrator for the Washington Opera [now the Washington National Opera] from 1986 to 1988. This was followed by two years as Music Administrator for the Opera Music Theatre Institute (OMTI) in Newark, founded by Jerome Hines, with whom she had the privilege of performing many times. It was under the auspices of OMTI that she conducted Bilby's Doll by Carlisle Floyd with the composer present. From 1996 to 1998 she headed the Apprentice Program of the Sarasota Opera Association and also served as Chorus Master. She has conducted for the Toledo Opera, the Washington Opera, the Sarasota Opera and the New York City Opera National Touring Company, among others. She was privileged to conduct Amahl and the Night Visitors for the Kennedy Center, directed by Gian Carlo Menotti. In addition to opera, her broad experience encompasses musical theatre and operetta, and she conducted over 60 productions in her 25 seasons at the Highfield Theater on Cape Cod. In 2005 she conducted The Mikado and The King and I for the University of Colorado at Boulder, followed by Madame Butterfly for the Harrisburg Opera. In 2009 she was honored to have composer Stephen Paulus in attendance at when she conducted his The Three Hermits at St. Bonaventure University. The following year took her to St. Louis where she conducted Rossini's La Cenerentola with the Union Avenue Opera. From 2005 until 2013 she served as Music Director of the Liederkranz Foundation in New York City. In addition to supervising the prestigious Liederkranz Competition, she ran the Liederkranz Opera Theatre, serving as producer and Musical Director for nearly twenty productions. The diverse repertoire of the LKOT included Das Rheingold, The Chocolate Soldier by Oscar Straus and Marschner's Der Vampyr. A proponent of opera in English, she has about a dozen operatic translations to her credit. The Opera Theatre of Northern Virginia commissioned and performed several of these; Le Villi, Oberto, and Linda di Chamounix. The Bronx Opera produced her translation of Rossini's rarely performed L'Equivoco Stravagante, and her translation of Flotow's Martha has been produced several times. She has performed many times at Carnegie Hall as a continuo player, including playing harpsichord for the Orpheus Chamber Orchestra's first operatic venture, Rossini's Il Signor Bruschino. In 2015 she served as Musikdirektorin of the Tyrolean Opera Program in Maurach, Austria, where she had the pleasure of coaching accompanists as well as singers. A highly regarded vocal coach and accompanist, she maintains a busy studio in her native New York.